I have owned a small collection of Copic markers for a little over a year now, and finally I used them on a card. Coloring with them really is as much fun as everyone says! What helped me to get started was a class on Copics at Online Card Classes. I haven't finished watching all the videos yet, but the ones I've watched so far have done a great job of explaining what to do with my markers. 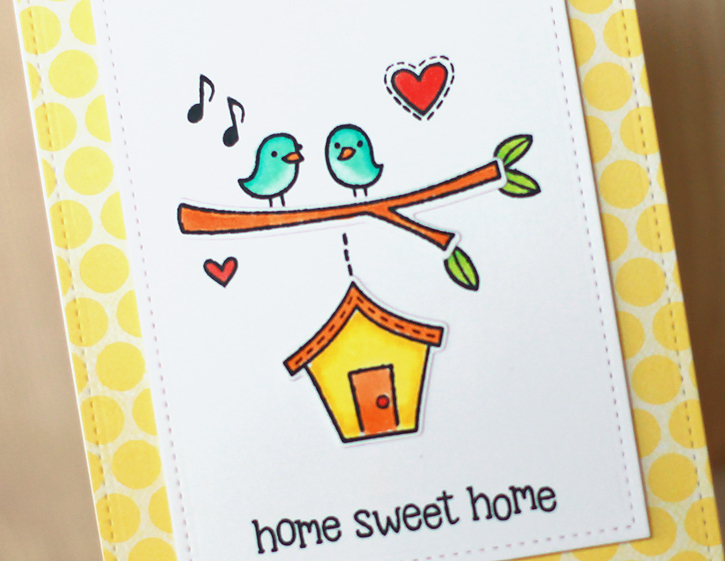 The stamps I used on today's card are Home Sweet Home by Lawn Fawn. 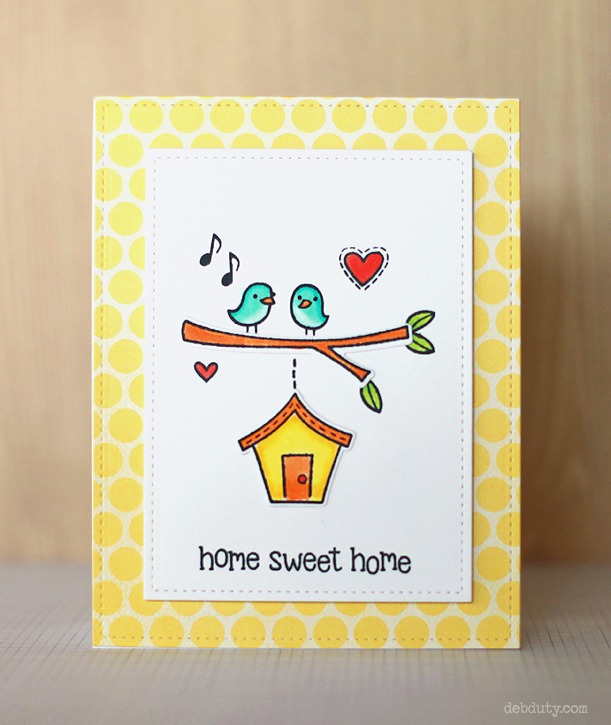 Lawn Fawn always has the sweetest little birds and I love the branches and bird houses on this set too! 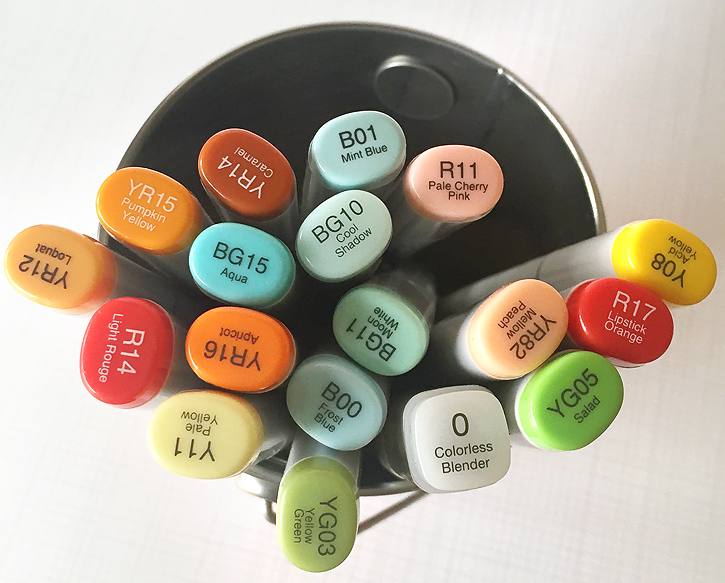 These are the copics I pulled for this card. I think I ended up using all but the pinks. I used the colorless blender on the birds' bellies. I'm linking up my card today at the Simon Says Stamp Monday Challenge blog. It's a fun challenge each week where you'll find lots of inspiration, plus a chance to win $50 to spend at Simon Says Stamp each week, and guess what? I was the lucky winner last week!! 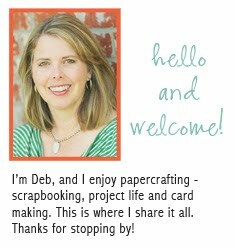 This is adorable Deb! I only have 4 Copic markers but decided to take that class after I saw your IG. It's been so fun watching the videos! Thanks for the recommend! Adorable card, loving those birds, so cute! Super sweet! Love that pop of yellow in the PP in the background. sweet coloring! Thanks for playing along with us at Simon Says Stamp Monday Challenge!